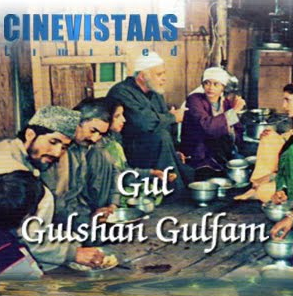 Aired in 1991, Gul Gulshan Gulfam was a really nice television serial which was crafted on the background canvas of Kashmir – India. Kashmir is considered as heaven on the earth. Once it was considered as a great place to visit. But then there were times when the valley of Kashmir got dangerous. This serial portrays the life of a middle class genuine family living in Kashmir. Gul, Gulshan and Gulfam are actually name of the three houseboats owned by the head of the family. Gul means a flower. Gulshan means a Garden. Gulfam means the gardener. The TV serial was a collection of 45 episode and was liked by the viewers of the time. The serial was aired again in 2002 on Sahara TV in 2002. Prem Kishen’s Cinevistaas was the producer of the serial and now they have uploaded the episode videos on YouTube for public viewing. Let us take a look at the briefing of the first episode of the same. Haji Abdul Khalik is an honest and genuine fellow living in Srinagar Kashmir. Kashmir is at the time on the threshold of modern times. Abdul owns three houseboats named Gul, Gulshan and Gulfam. Houseboats are the house prepared on the boat. It is a floating house which was there on the surface of the lake. Haji Khalik was happy fellow and is proud of the business. His grand father owned a single houseboat (Gul); his father owner two houseboats (Gul and Gulshan) and he owns three. He have three sons who looks after each houseboat, as Abdul is getting older now. The eldest of his sons is Noor Mohammed who looks after the houseboat Gul, and lives on the same with his wife and family. Noor is very similar in terms of thoughts and persona. He also loves his work. His son Nisaar was about to finish his study of doctoring. His wife is also very genuine person like him. Gulam Ahmed is the second son of Abdul who believes that he could earn a lot more by having contract of garden of apples, in stead of the business of house boats. He was always finding an opportunity to arrange some amount of money, so can deal into apples and can earn handsome amount of money from the same. He and his wife loves each other. They look after Gulfam houseboat but mostly found out of home looking for some business stuff. The youngest of Abdul’s sons is Gulam Kadir. He is fast learner and keen for opportunities. His wife loves him a lot, and she have only one complaint that Kadir is always busy in something else. Parveen is the youngest of the children, the only sister of all three brothers. Razak is the other character in the serial. He is not part of the family. He lived in a distant village but in order to escape from his step mother’s wrong deeds, he came here. He was in dilemma that what is the reason Parveen keeps smiling by seeing him. All of the family family members get together for the lunch (apart from Kadir) and was worrying about the current situation. Actually the season of tourist visit is about to start and they hope that there should be large number of tourist visit this time, so their business run smoothly. They were all, also updating and preparing all house boats for the same. The situation at the rivers of Punjab is making them worry. How will be the tourist season? What will be the next events? The research work is done properly and the same is being seen, for example check the way the family takes their lunch. The acting of Parikshit Sahni and the lady playing his wife is complete natural. The characters being played by Parveen and Razak are not smooth actors. Rest plays their part. The background music is good. The video quality is good. Overall a watchable episode.